Main building of the Ministry of Justice, Tokyo. 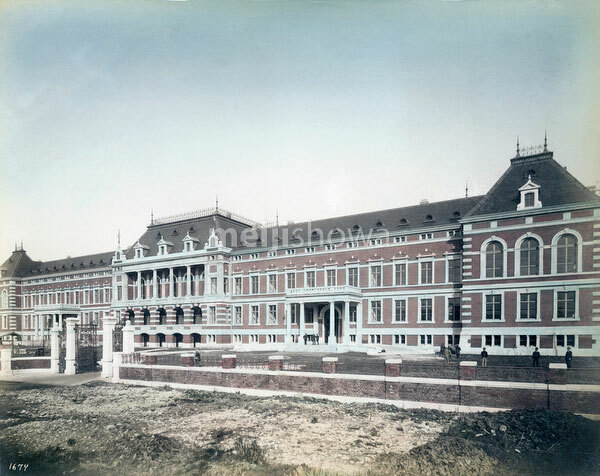 The neo-baroque building was designed by Berlin architects Hermann Ende and Wilhelm Böckmann, and completed in 1895 (Meiji 28). The building virtually finalized the development of the Kasumigaseki district, which was started when the Ministry of Foreign Affairs moved to this area in 1870 (Meiji 3). The building therefore was able to survive the Great Kanto Earthquake. However, it was burned down in the 1945 (Showa 20) firebombing of Tokyo. Only the floors and red-brick walls were left standing. In 1950 (Showa 25), it was renovated and returned to use.